To kick off our new series, we chat to Inspirational Mover, Anthea Dixon. 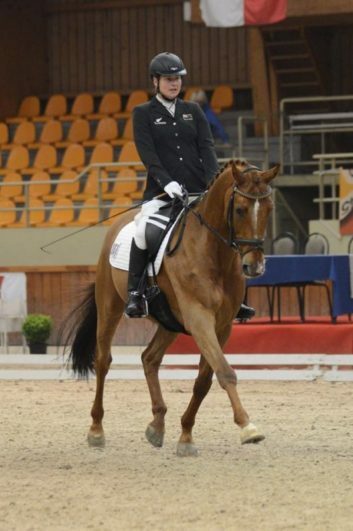 Anthea has represented NZ at the London Olympics 2012 and WEG 2014 as a Para-Equestrian. Her story is as remarkable and as inspirational as the woman herself. We met a couple of years before she competed in London, and having her in my life has been one of my greatest joys. She has an inextinguishable light and I do hope you enjoy reading a bit of her story ! I have been mad on horses since I was very small, started at riding school (which my parents thought was a “phase”) when I was 6. 29 years later I’m still going strong! 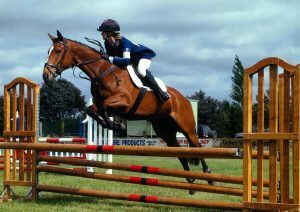 I got my first horse when I was 14 after having ridden some ponies for other people which allowed me to get involved in pony club. 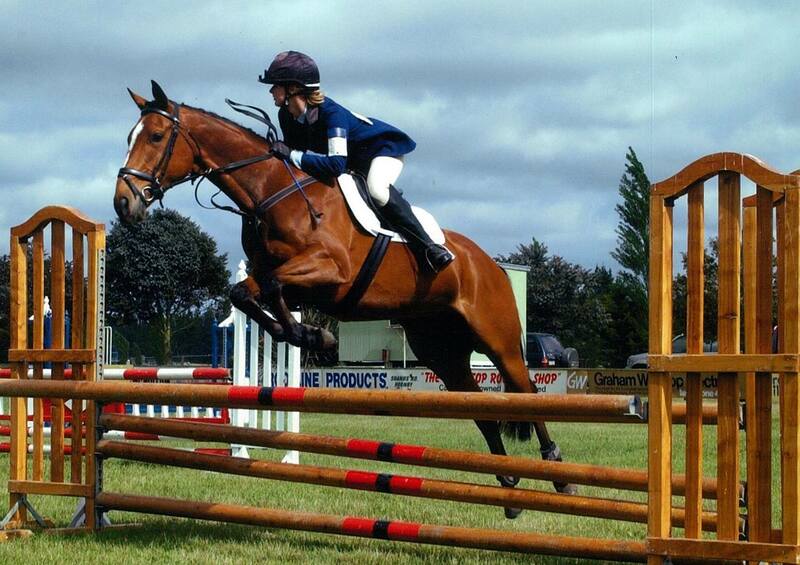 Eventing was my main love â€“ nothing better than the exhilaration of honing around the cross country! In 2006 I had an accident leading one of my horses which left me a paraplegic. Not one to give up on what I loved, I was back on a horse 9 weeks later at RDA while still in hospital at the Burwood Spinal Unit. I soon developed a love for Dressage and discovered Para Equestrian as a sport. 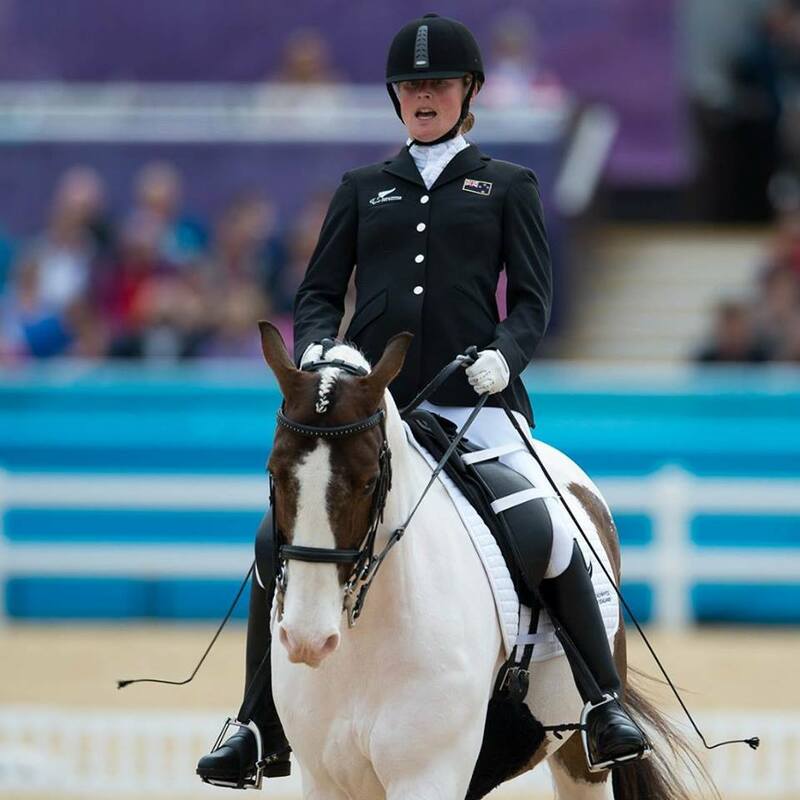 In 2008 I found myself a nice horse to continue competing on and in 2012 we represented NZ at the London Paralympics which was a dream that happened far earlier than I had anticipated. I also had the opportunity to ride a super horse based in Germany afterwards and we competed at WEG in 2014. After WEG I bought a project horse and have been pottering away at home since. Can you Introduce us to the horses who have been part of your journey? Frankie (Appaloosa x TB, 16hh) was the one who started it all â€“ he was the one I was leading when I had my accident, he was the one I relearned to ride on post-accident after RDA. It was really interesting to see his usual bulshy self change once he saw me in my wheelchair â€“ he was so careful with me and would get worried if l got out of balance. He still resides at home in retirement and has been part of the family for 21 years. Mask – Huntingdale Incognito (App/QH x Crossbred, 15.1hh) I bought when I wanted to get back to competing as Frank was a bit unreliable to float! He was 6yrs old at the time but was such a gentleman and learnt really quickly. His inner showman blossomed slowly, he loved to show off and compete, and loved a crowd. We won lots of wide ribbons, highlight was London Paralympics of course, and our final event at ESNZ Dressage & Para Equestrian Nationals were we were National Champion in our grade. Don “Doncartier” (Oldenberg – Donnerhall x Hitchcock, 16hh) I was very lucky to have the opportunity to learn from Don. Based in Germany at Hayley Beresford’s stables, and owned by the lovely Bella Robson, Don was the best schoolmaster you could find for me. He thought his new job as a para horse was most fun and important and I learnt so much and was well pushed outside of my comfort zone plenty of times and this gave me so much confidence. Learning what extended trot actually should be like (and my first proper flying change and piaffe!!) and having someone on the ground helping every day was a massive bonus and also exposure to training of dressage horses from babies to Grand Prix, and the opportunity to compete in Europe was the experience of a life time and I am forever in debt to Hayley, Bella and Don for their support and generosity. Brian “On Twilight” (NZ Sport Horse Littorio x TB, 16.1hh) Brian was bought as a project after WEG and he has definitely been the most challenging horse I have ever trained, but probably also the most satisfying as he has improved so much in the 3 years that I have had him. He is the nicest bloke I’ve ever had the good fortune to own, like a big dog that follows you around. He has taught me patience and perserverence, and how important good basic training and awareness of his and my own posture is to being able to move correctly. Born and still live in North Canterbury NZ. Movement for me each day is spent sitting down in my self propelled wheelchair. I’m a busy person, work full time as a Personal Assistant, but this means I am sitting at a desk and getting out of my chair is a challenge. Riding helps this and I try to keep riding all year round to help keep my body moving. I am trying to get into the habit of stretching at the end of every day instead of sitting on the couch! If I don’t move much I have problems with swelling in my ankles and feet this build up of fluid also affects my bladder which is something I need to carefully manage! If I don’t stretch out my hips and get straight regularly I suffer from spasms in my hips which cause back pain and tight muscles. I try to make an effort to move away from my desk regularly, even wheeling down the office to the printer helps! I always spend time sleeping on my front, and try to stretch out regularly although I should do this more often admittedly! I also stretch out my shoulders regularly â€“ I often find myself hunched over my desk so have bought a posture bra to help remind me to sit up straight and keep my shoulders in the correct posture! Take care of your body ” it’s not just about the horse’s body! Because I am often busy it’s critical that I keep myself feeling as supple as possible” and it’s a real challenge! I have monthly chiropractic treatment and acupuncture, and fortnightly massage to help me keep myself in good alignment and muscle health. Without this I would seize up and be in a lot of pain! Its also important to react quickly when you are sore “don’t leave it and hope it gets better on its own” rest, stretch, get the wheat bag or anti flamme cream out! And keep moving (carefully!) as if you don’t you end up worse off! Because how the rider sits in the saddle has such an impact on how the horse is able to move it is absolutely critical that I am as balanced as possible and using my body evenly. This has been so important for Brian as we work on improving his posture I have to be sure that I am not causing more of a problem! I have to be very aware especially of my right hip as it is always tighter than the left, so I find riding on the left rein more difficult, and have to be careful to not be skewing my body awkwardly and making it harder for him! This is why it is so important to stretch and manage pain so that I am not doing weird things with my body to compensate. How to choose??!! London was and always will be the most incredible experience of my lifetime, but being in Germany with Hayley and Bella was also an incredible opportunity and experience and exposure to Dressage at the highest level is something I will never forget. Be positive and have fun because horses are bloody expensive misery! Don’t drink cheap bubbly wine straight from the bottle! I’d love to be back competing at the top international level at some point in the future so a lotto win would be great to help that! But it will definitely have me riding and training horses and hopefully dragging my lovely husband around the world travelling.